As of late, I’ve been obsessed with borders fixed not by natural geographic features but by arbitrary straight lines, particularly lines of latitude and longitude. The western border between the United States and Canada, for example, roughly follows the 49th parallel North latitude*. “Roughly” is the key word. 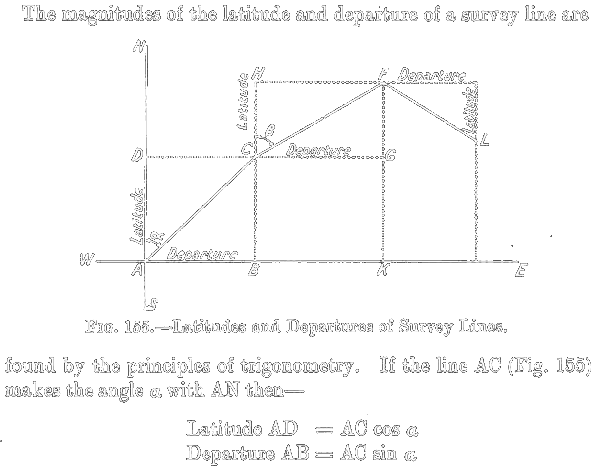 Surveying a line of latitude in the 19th century – even when the terrain wasn’t inhospitable and impassable – was incredibly difficult, as Pennsylvania and Maryland found out. Over the 1,260 miles of the U.S.-Canada border west of Lake of the Woods, Minnesota, the line changes direction nearly 1,000 times, often missing the 49th parallel by several hundred feet. Far tougher than measuring lines of latitude was measuring lines of longitude, because the only point of reference was the sun. A one-hour change in the sun’s position means a difference of 15 degrees of longitude (360° divided by 24 hours). At 45° latitude, one second is worth about 1/5 of a mile. If the surveyors didn’t have the time exactly right, they could be far, far off – and they often were. Before reliable transatlantic telegraph cable service was consistently available in the 1860s, it was impossible to know the exact time at England’s Greenwich Observatory, traditionally set as 0° longitude (the prime meridian). Instead, when defining the western and eastern borders of several territories and states, lawmakers used the Old Naval Observatory in Washington, D.C. as the reference meridian. Although based on meridians, the official borders are whatever the surveyors actually marked. The Four Corners monument, for example, was at one point thought to be 2.5 miles west of its “correct” location. 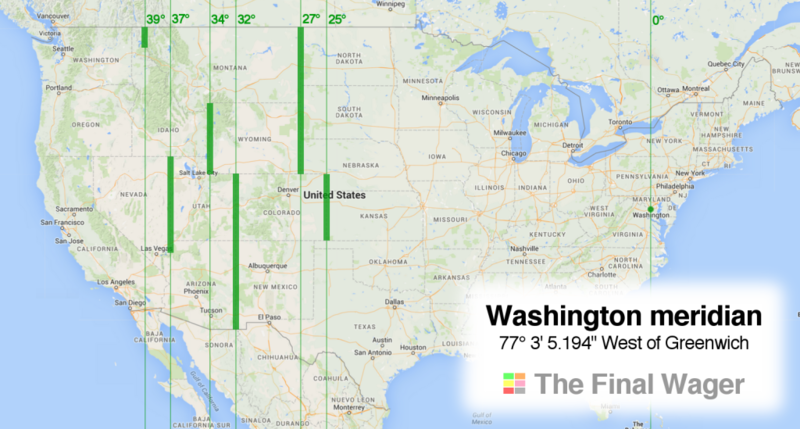 Colorado and Wyoming, in theory, are the same size: 7 degrees west-east and 4 degrees north-south. But since lines of longitude are farther apart closer to the equator, Colorado is about 6% bigger. For what it’s worth, the northernmost part of the California-Nevada border is set at 120° West of Greenwich, the measurement of which proved particularly tricky in the 1860s and 1870s. I’ll have more on some of the interesting lines of latitude – think the Oklahoma panhandle – in a future Fact Primer installment.